MUJCA , the Muslim-Jewish-Christian Alliance for Truth (formerly the Muslim-Jewish-Christian Alliance for 9/11 Truth) is reactivating. While continuing to expose the foundational lies of the “war on terror” and “clash of civilizations,” we will henceforth be fostering uncompromisingly truthful interfaith dialogue on a wider range of issues. We are especially interested in promoting interfaith conversations on “sensitive” topics—the ones most interfaith efforts avoid—resolutely pursuing truth while defusing ignorance, hatred, and bigotry. Let’s face it: Christians, Jews, and Muslims often see the faith of the Other in a negative, pejorative light. Rather than avoiding these “prejudices” (which may or may not have some basis in reality) let’s talk about them! And let’s also consider whether we monotheists might be victims of a divide-and-conquer operation by the Inquisitors of today’s dominant religion: Progressivist Secular-Materialist Humanism whose radical fundamentalist version has been called Anti-Religious Religious Fanaticism (AARF). This is the lying, murderous, satanic ersatz religion of today’s Western elites, as Thaddeus Kozinski has brilliantly explained. *Talking about what really happened on 9/11 is major heresy. *And calling the anti-religious worldview that dominates our culture a religion and a fanatical one at that is perhaps the greatest heresy of all. Below is a brief summary of the history of MUJCA. We hope that much more will eventually be written. October 2004: Founded by Kevin Barrett as outreach project of Khidria, Inc., a 501(c)3 nonprofit. Endorsed by David Ray Griffin, Israel Shamir, and others. MUJCA.com website begins operation. Regular 9/11 teach-ins held on University of Wisconsin-Madison Library Mall, October 2004 through summer 2006. 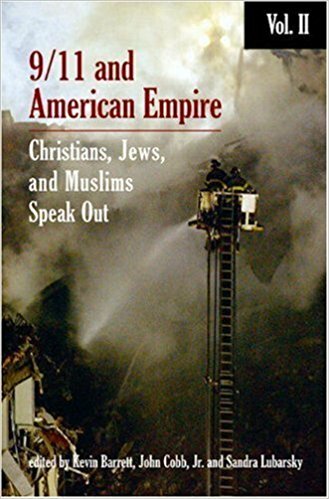 April 18, 2005: MUJCA is sole sponsor of David Ray Griffin’s talk “9/11 and the American Empire: How Should Religious People Respond?” at University of Wisconsin-Madison. Nationally broadcast on C-SPAN on April 30, 2005. June 2-4, 2006: MUJCA co-sponsors (with 911truth.org) 9/11 Revealing The Truth / Reclaiming Our Future Conference in Chicago. 2006-2008: MUJCA sponsors three Midwest Speaking Tours by William Rodriguez, 9/11 hero who risked his life to save others and was the last man out of the North Tower before it exploded…and later testified about the many explosions he and more than 100 others witnessed inside the North Tower, beginning before the plane strike. 2009: MUJCA sponsors publication and distribution of Questioning the War on Terror. April 7, 2011: MUJCA co-sponsors talk by Richard Gage, AIA, “What Caused the Collapses of Three WTC Buildings on 9/11? Why Are 1450 Architects and Engineers Calling for a New Investigation?” University of Wisconsin-Madison. 2008-2016: Coordinators Lou Stolzenberg, Amber Haque, and Peymon Mottahedeh edit and maintain MUJCA.com website. Various events sponsored. 2017: MUJCA.com website lapses and is hijacked. Current website is fraudulent.